Contact A Greenwood lawn care service provider today! ​If you are like most people, you probably look out your front window about this time of year and imagine the possibilities you have for a glorious new yard this year. Can't you just see it now? Grass neatly mowed and trimmed. Gardens carefully planned and blooming full of color. Everything is beautiful land perfect. Unfortunately, if you are like most people, you get stuck in a mental rut when you consider something like this, especially when you think of where you get started. May we make a suggestion? At Greenwood Lawn Care we know that every spectacular yard begins with a good and thorough clean up. What could be more natural than to get rid of every reminder of the not so beautiful past in order to give yourself a clean slate in terms of where you want your yard to go from this point forward? ​There is probably nobody who ever began putting in a new yard who didn't at some point run into the issue of getting rid of old brush and trimmings left over from last season. It's a natural problem, of course, getting rid of the old before you can plant the new. And even if you are starting with a bare piece of dirt, you would probably still have things to clean up, whether it's a late fall cleanup or something new. All of this is why Greenwood Lawn Care offers full yard cleanup services throughout the year, regardless of the needs. As a result, we offer fall cleanup prices that will assure you that everything on your fall cleanup checklist is taken care of, and to your complete satisfaction. Does the cost of all this work leave you concerned over whether you will be able to afford the work that needs to be done It shouldn't. The lawn clean up cost should not be what you first think of when you ask, "what are the lawn cleanup services near me?" Wherever you are,Greenwood Lawn Care offers complete lawn care services that can't be beat. We offer the finest fall clean up service in Greenwood IN or anyplace else. 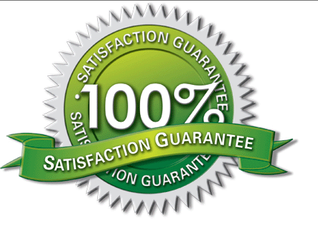 At Greenwood Lawn Care we offer complete lawn care services, regardless of your needs. We can handle everything from simple mowing or the complete job of mowing, trimming, and whatever else you might need to transform your lawn into the place of your dreams. We'll even do a simple leaf cleanup for a small leaf cleanup price. Why not call Greenwood Lawn Care today to see how we can transform your lawn and garden into something from ordinary to extraordinary? If anyone can do it, we can. After all, we've been doing it in the Elkhart area for several years, and we have more satisfied clients than anyone else to prove it. Why not call us today so we can get started? We offer complete landscaping services anywhere in the Greenwood or surrounding areas. Choose Greenwood Lawn Care to deal with anything green at your house.